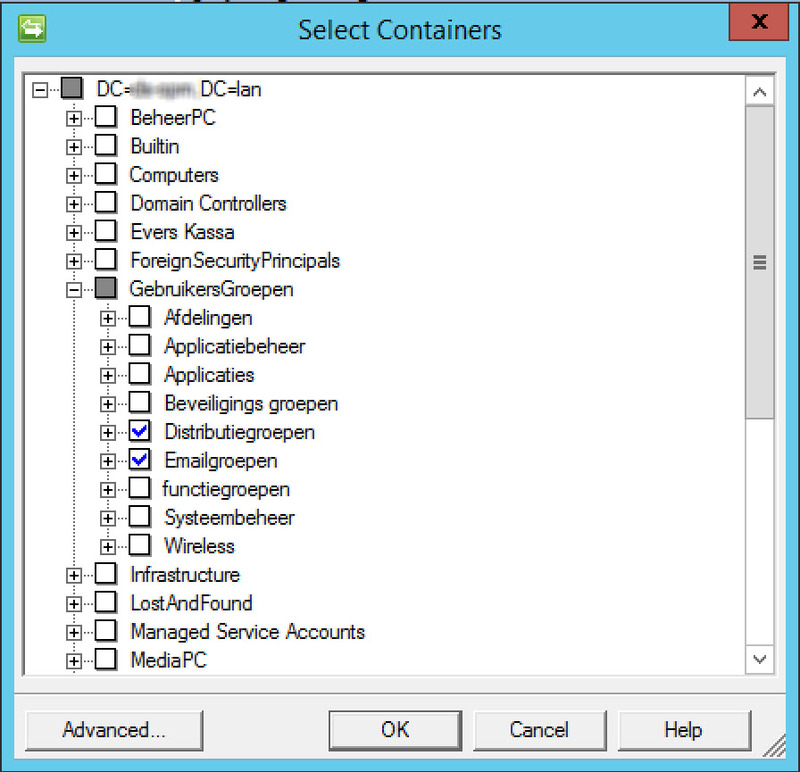 When performing Office 365 deployments for most companies DirSync comes in the picture. Or as Microsoft prefers to call it, Windows Azure Active Directory Sync. Since most of the IT environments become polluted when time flies by most of my client’s prefer to perform a limited synchronization with DirSync. As said earlier, most IT environments become polluted by time. As Active Directory Users & Computers is one of the most heavily administered you can imagine how much dirt sneaks in which makes it very interesting for businesses. Therefore Microsoft has a way to perform a limited DirSync based on OU (Organizational Unit) hierarchy and selection. For this we have to digg our way into ForeFront Identity Manager. 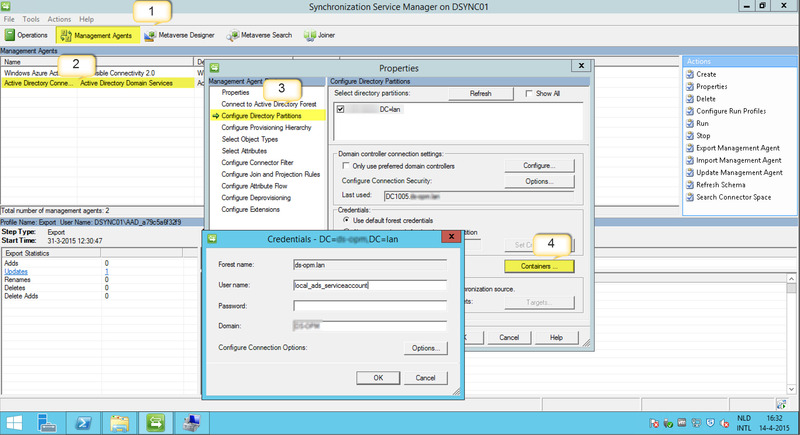 For this we have to open the FIM 2010 console by navigating to the following directory “C:\Program Files\Windows Azure Active Directory Sync\SYNCBUS\Synchronization Service\UIShell”. Here you will find a executable called miisclient.exe. Run this application with “Run as administrator” priviliges. Make sure the account which initiates the request is member of the “Domain Admins” and the “Enterpirse Admins” security groups within your ADS forest. It’s also required to be a member of the local security group “FIMSyncAdmins” on the DirSync server. Please refer to the image illustrated here for the instructions listed below. 1. Click on “Management Agents” in the top ribbon. 2. Right click on the “Active Directory Connector” management agent and select “Properties”. 3. Click on “Configure Directory Partitions” on the left hand side of the menu. 4. Click on “Containers” and fill in the credentials of the local ADS service account. 5. After filling in the credentials a windows opens with the AD forest hierarchy. Here you can select the required Organizational Unit’s. Please refer to the image illustrated below. Hope this helps fellow IT Professionals deploying succesfull Office 365 product. And obviously it is best to configure this filtering before Windows Azure Directory Sync synchronizes for the first time.